Please stop doing this to Walter White’s house. When a television show becomes a cult favorite, it’s going to attract some dedicated fans. Witness what’s happening in Albuquerque, New Mexico, in the wake of Vince Gilligan’s massive television successes. A quiet neighborhood is now the center of a Breaking Bad tourism industry, but it’s having terrible repercussions for the people that live there. 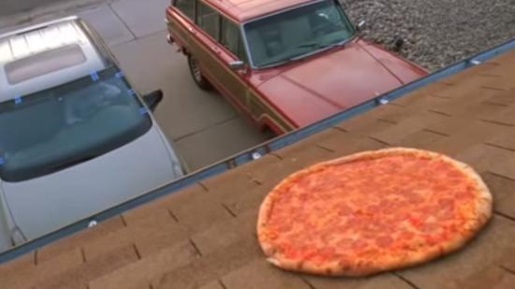 The house that played Walter White’s house in Breaking Bad is being pelted with pizzas, and the show’s creator wants it to stop. There are a lot of other ways to enjoy the neighborhood, and the home’s owners–who have lived there for 41 years–don’t mind fans taking pictures and posing and whatnot provided they’re respectful. Apparently blue meth candy is okay, but tossing pizzas is a step too far.